Civil Defence are assisting Longford Gardai in the search for a missing 36-year-old man. Michael Sheridan had been working in England and had recently returned to Ireland. He was last seen in the Ferefad area of the county. He is described as being around 1.77m (5’10) tall, of average build with short greying hair. 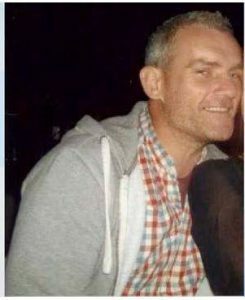 When last seen he was wearing grey/green jeans, a navy-blue top and Adidas runners but there is a distinct possibility that he may have changed his clothes. Anyone with any information is asked to contact Longford Garda Station on 043-3350570, the Garda Confidential line on 1800 666 111 or any Garda station.